Spring Street Park, Los Angeles, California. A key question of his firm’s work, according to Lehrer: “How do you leverage every project into a larger cultural idea?” The firm’s recent string of public projects have answered that question by expanding the impact of small but deeply valued corners of the city beyond traditional or jurisdictional boundaries, no matter how modest the budget. When AN visited the Lehrer Architects studio in Silver Lake, the building’s large sliding doors were wide open, allowing cool breezes and the sounds of playing children to drift inside. The studio’s walls displayed the work of an artist in residence and the collected sketches of a monthly figure drawing class. “The ability to offer a place of one’s making is a delicious thing,” said Lehrer of the studio’s role in the community as a cultural and artistic center. The trick of the Reseda Pool project is to transform fencing into iconic community architecture. 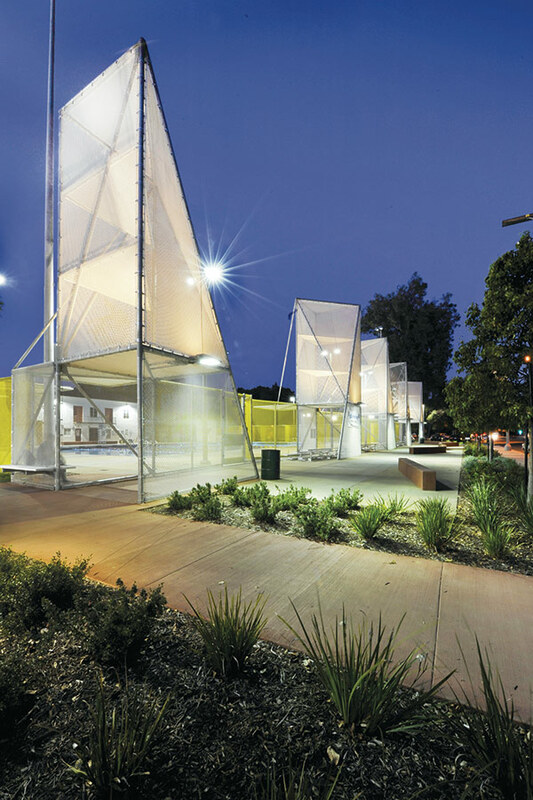 Built for the Bureau of Engineering in the city of Los Angeles, requirements for parking and fencing further constrained a modest $3 million budget. 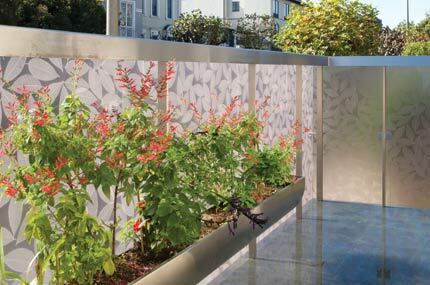 To achieve visual impact, the firm designed 30-foot-tall towers and hung art by Jane Tsong on their dense chain link and vinyl surfaces. Lighting the towers at night creates a beacon in the community. 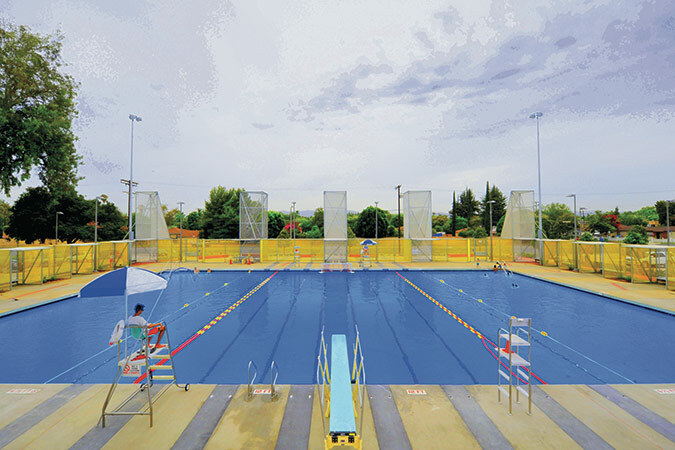 “The challenge for the designer is to make something memorable, special, iconic, and celebratory,” said Lehrer Since the pool’s completion, the city of Los Angeles’ Bureau of Engineering has hired Lehrer to restore and renovate Central Pool in South Los Angeles. Since Spring Street Park opened in the summer of 2013 it has been a welcome gift to the exploding Downtown Los Angeles residential scene. Designed in a collaboration between Lehrer Architects and the city of Los Angeles’ Bureau of Engineering, the park contains a lot in its .7 acres. 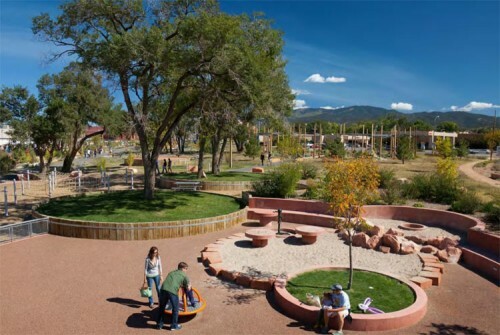 Its nooks and open spaces are designed to accommodate groups ranging in size from one to more than a hundred, while walking paths, children’s play equipment, and custom-designed seating provide many ways to enjoy the space. 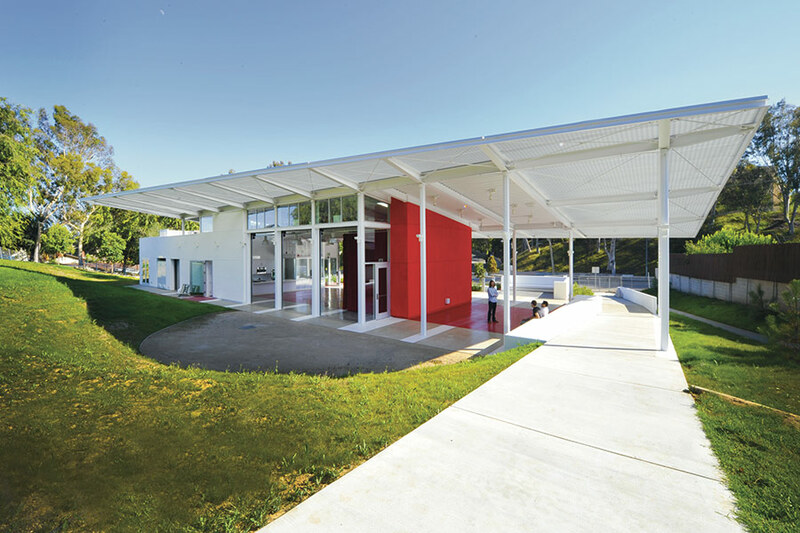 With this multi-phased project, which includes a new visitor’s center, a re-orientation of the site, and new landscaping, the firm worked to integrate the garden into the campus and to invite the public into the garden. In so doing, the project extends the west edge of the garden beyond Tiverton Drive, making the street a promenade to bring visitors in and out. “Our gift is finding beauty where others don’t,” said Lehrer. 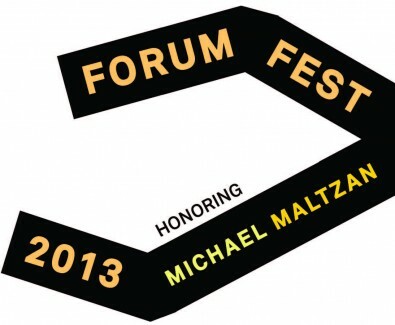 Michael Maltzan is the guest of honor at ForumFest 2013, the Los Angeles Forum for Architecture and Design's annual fundraising party. The event will take place this Saturday, November 9, from 6 to 10 pm at the Maltzan-designed Inner-City Arts in Downtown Los Angeles. Maltzan studied architecture at the Rhode Island School of Design and Harvard University's Graduate School of Design before working in the offices of Machado Silvetti and Frank Gehry. In 1995 he founded Michael Maltzan Architecture (MMA). 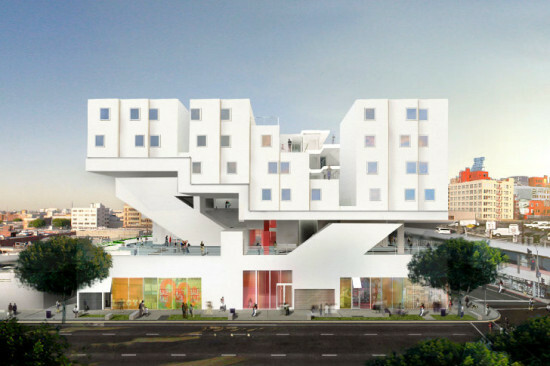 MMA's work in LA includes Regen Projects, the Billy Wilder Theater and Cafe at the UCLA Hammer Museum, the Biscuit Company Lofts, Inner City Arts, and several noted projects for Skid Row Housing Trust, including the Rainbow Apartments, the New Carver Apartments, and the upcoming Star Apartments. Saturday's festivities will include installations by participants in the Forum's 2013 Out There Doing It Series, plus music by KCRW DJ Dan Wilcox and a silent auction. For sale at the auction are drawings by Maltzan and other local architects, including Greg Lynn, Tom Wiscombe, Scott Johnson, Doris Sung, Larry Scarpa, Michael Lehrer, Barbara Bestor, and Tim Durfee. Two photographic prints of MMA-designed buildings, by photographer Iwan Baan, will also be featured. For more information or to order tickets, visit the LA Forum website. 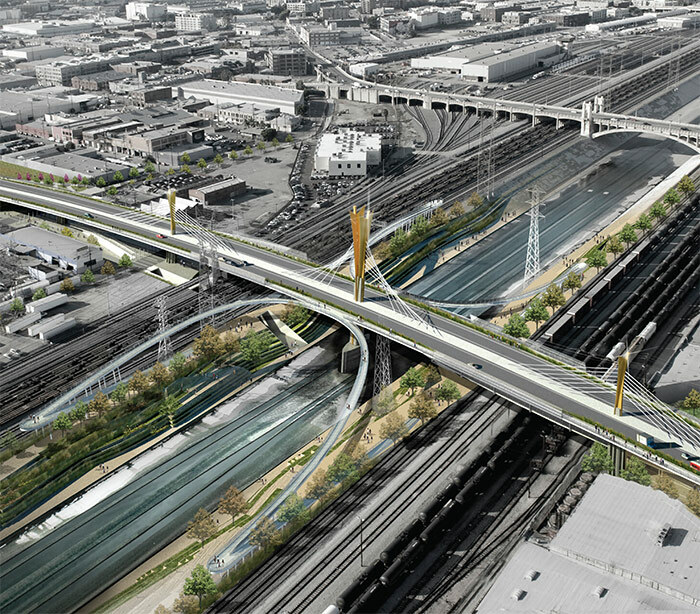 HNTB's proposal for the Sixth Street Viaduct replacement in Los Angeles. Last night at the packed Puente Learning Center, a school in Los Angeles’s Boyle Heights neighborhood, three design and engineering teams attempted to predict the city’s future. The groups—headed by HNTB, AECOM, and Parsons Brinckerhoff— have all been shortlisted to create the city’s new Sixth Street Viaduct. Their vivid public presentations were the first glimpse of what will likely be LA’s next major icon. The original 3,500-foot-long structure, a famous rounded Art Deco span designed in 1932, has been deemed unsalvageable due to irreversible decay, and in April the city’s Bureau of Engineering called for a competition to design a new, $400 million, cable stayed structure. 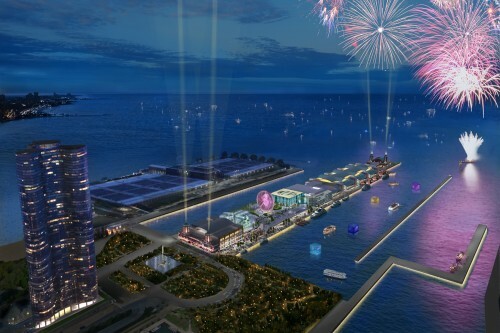 Following the city’s lead, all three teams presented plans that not only showcased memorable forms, but embraced people-friendly designs, including pedestrian paths, parks, and connections to the river below. The push reveals Los Angeles’s focus on attracting people and talent through increased livability. Such moves are a welcome, if uphill battle considering that so much of the city has been designed for cars, not people. 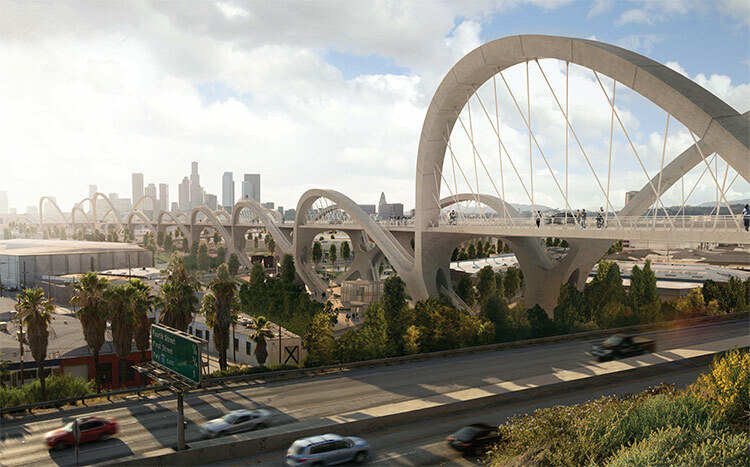 AECOM's proposal for the sixth Street Viaduct. The first presentation, by HNTB with Michael Maltzan Architecture, AC Martin, and Hargreaves Associates, among others, showcased the most exuberant design, a riotous collection of tall and short, slightly canted concrete and cable arches pulsing over the river and well beyond in both directions. Because of their exact repetition, the concrete spans would be affordable, pointed out the team. They would also be rougher than their steel competition: “The last thing we need is something that looks like it’s meant for a pastoral setting,” explained team member David Martin, a principal at AC Martin. The arch that spans the river, and a slightly depressed arch below it, would both contain pedestrian walkways which people would be able to enter by literally walking into the bridge. Below the bridge the scheme would contain a hardscaped Arts Plaza to the west, with restaurants, paths, and graphical representations of the bridge’s boisterous arches on the ground; a slightly softer Viaduct Park, containing a promenade, amphitheater, and skate park; and a landscaped Boyle Heights Gateway to the east, bordering the Boyle Heights neighborhood. Parsons Brinckerhoff's proposal for the Sixth Street Viaduct. The AECOM plan was centered on a series of three sculptural steel and inverted cable masts, loosely abstracted from images of angels, with a ribbed concrete structure exposed on its underside. The central mast would be the largest, and hence the focal point. A pedestrian path would be suspended underneath while at bridge level lookouts would bulge outward. 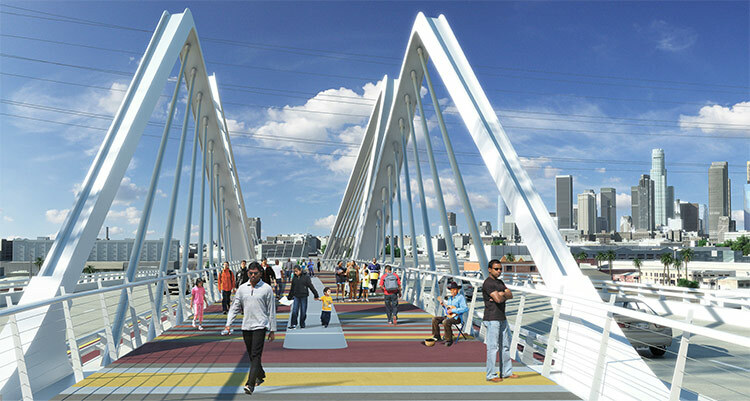 The plan calls for several public spaces, including the Mateo Street Gateway Park, a ramping space bordering the Arts district to the west; the Viaduct Plaza, a hardscape under the bridge; the Open Space Paseo under the bridge to the east, and the East Gateway Park, at the entrance to the bridge in Boyle Heights. Steel elements from the original bridge would be used to form lighting for the plazas, existing monuments would be restored, and new pathways to the river would be built around the bridge. The Parsons Brinckerhoff plan was centered on a smaller mast (the size of the original Sixth Street Viaduct’s collection of piers over the river) that firm principal Ricardo Rabines described as the “wings of LA.” Indeed the steel structure looks like a bird’s wings stretched to fly. Under the bridge a suspended lower walkway would lead to a circular lookout point called the “nest.” Above a colorful covered walkway would split the bridge’s two roadways and, at times, could become a congregation zone, with one roadway shut down for major events. Continuous stairs and elevators would maintain a steady connection to the areas below the bridge. 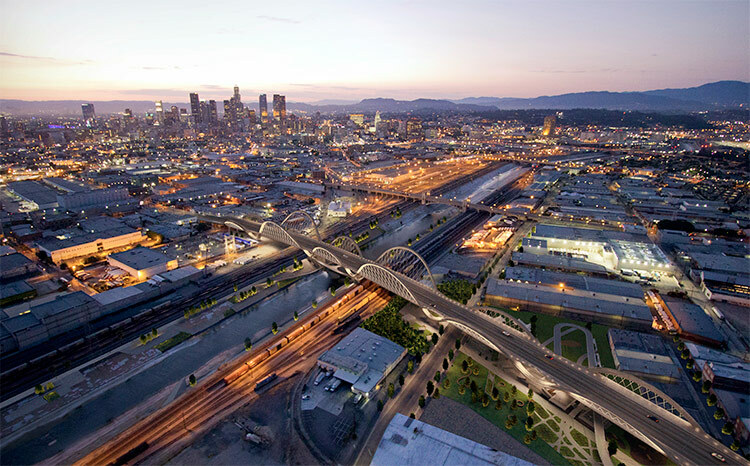 HNTB's proposal for the Sixth Street Viaduct. 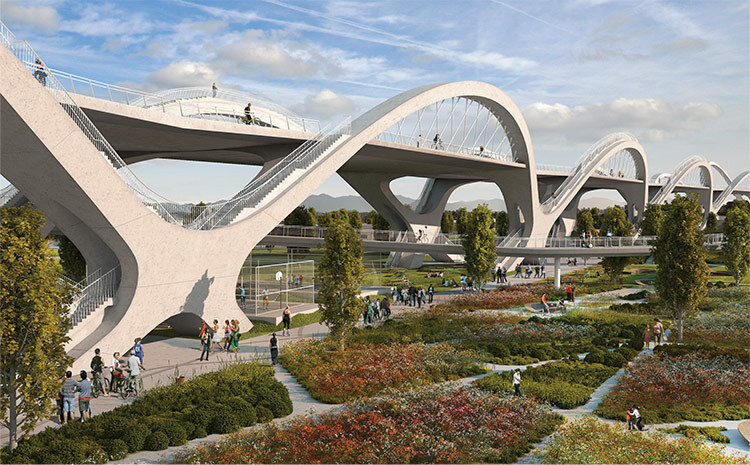 The proposal included several landscape and planning proposals at the foot of the bridge’s V-shaped columns, some designed by Mia Lehrer, who headed the La River Masterplan, an ongoing effort to make the river a recreational resource. They include an Arts Park to the west containing areas to display art installations; stepping and landscaping of the river below, and a plaza containing a series of clean tech research modules under the bridge to the east. “It’s important that the bridge engage the river in multiple ways,” pointed out Lehrer. 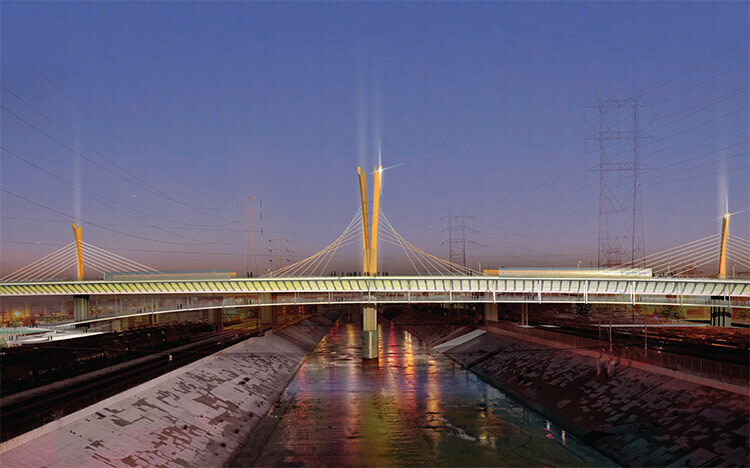 The bridge will be paid for substantially by state and federal funds, with just one percent of the money coming from the city, pointed out city councilman Jose Huizar. The winner, chosen by city engineers and the state’s highway building division, will be announced by the end of this year. The design is set to be ready by 2014, with construction completed by 2018. Three more public presentations will take place this week and the next, after which the plans will be presented at the city’s Public Works building on Broadway until October 5. The living room pavilion opens up completely to the backyard. Santa Monica Canyon, a tranquil neighborhood embedded into the hills just inland from the Pacific Coast, is blessed with thick woods, gurgling creeks, and cooling ocean breezes. It’s truly one of the great refuges from LA’s urban frenzy. So it makes no sense that many of the million-dollar houses there seem to turn their back on it. Michael Lehrer’s Canyon Residence doesn’t. Yes, it’s still a 13,000-square-foot mansion—this is no rustic bungalow. But despite its gem-like finishes and ample spaces, you often forget that. In much of the residence, the distinction between inside and outside doesn’t exist. Many of its walls disappear and the scene outside engulfs every room. The home, clad in pristine white plaster, is organized along two main spines, which are marked by transparent glazed catwalks that provide full site lines down their length. 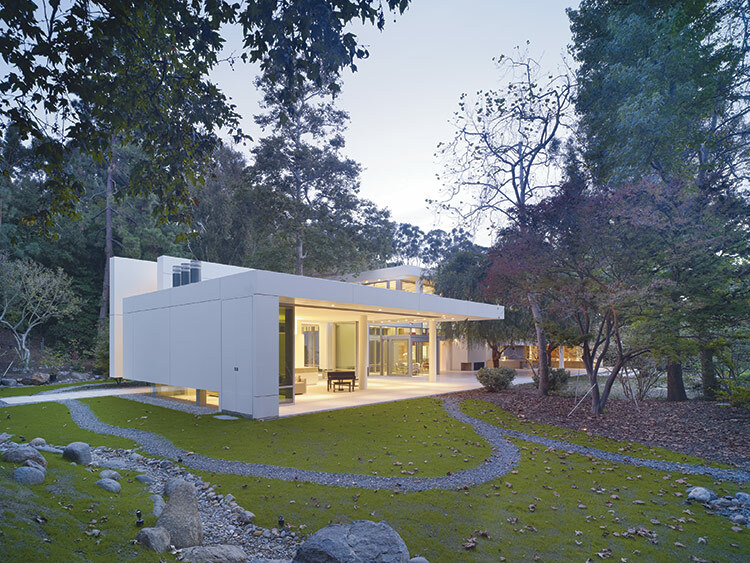 Along those spines the house is arranged as a series of cube-shaped pavilions in the landscape, making their way around four large trees. Lehrer solved a geometric puzzle in their staggered layout, exposing as much surface area as possible. (He calls the spatial rigor “deep order.”) And within that organization, layered clerestories, skylights, bridges, and window walls provide more peeks of light and scenery. 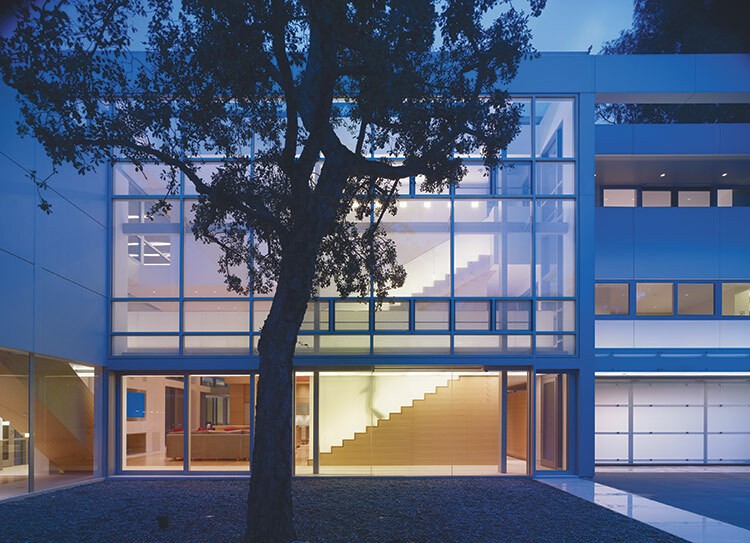 left to right: The house contains a working sculpture studio; A glass wall opens onto the central courtyard. After you walk into the house you come upon the pavilions that are the most open to the landscape—a sloping amalgamation containing modern sculptures, ancient trees, a brook, emerald-green grass, thick brush, and a working produce and flower garden. The living room’s walls disappear completely on two sides, creating an outdoor room; the breakfast room’s walls slide away on alternating sides to allow cross breezes; and the dining room’s walls are made of pivoting glass doors that open up in theatrical fashion to the yard. The living room pavilion with glass walls open. The next pavilion is basically the living center. Its centerpiece is the “great room,” a 40-foot-wide space containing both the open kitchen and a family room. It’s where most of the action happens, and you can see into most corners of the house from here, thanks to its large openings, which often start above existing timber and plaster-clad walls. 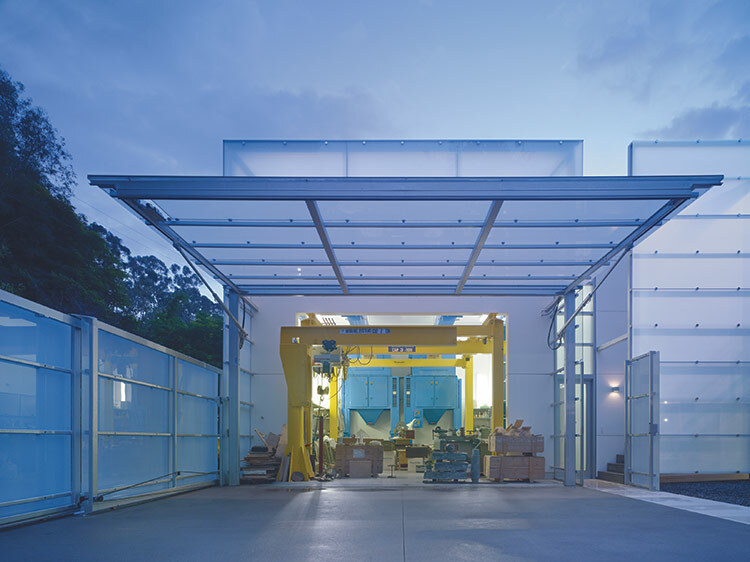 The final pavilion, clad in translucent glass and focused around an industrial courtyard, is the owner’s sculpture studio. His interest in materials, and stone in particular, extends to the house. He’s picked out onyx and other gem-like stones that adorn, among other things, the bathroom and bedroom furniture and fixtures. The whole place feels like a sculpture. Also bucking its size and luxury, the house is net zero, thanks to roofs covered with photovoltaic panels, no air-conditioning, hydronic heating, cross ventilation, and little need for lights during the day. While this is a luxurious house, Lehrer calls it his laboratory for ideas. “You have no excuses with an opportunity like this,” he said. [Editor's Note: This the final in a four-part series documenting the winners of the AIANY's 2012 Design Awards, which are broken down into four categories: architecture, interiors, unbuilt work, and urban design. This list covers urban design awards.] The AIANY has released its annual list of Design Awards noting projects that demonstrate exemplary originality and quality. Urban Design Honor and Merit Award winners were selected by a jury consisting of Bernardo Fort-Brescia of Arquitectonica, Michael Lehrer of Lehrer Architects, and Donlyn Lyndon of the University of California Berkeley. 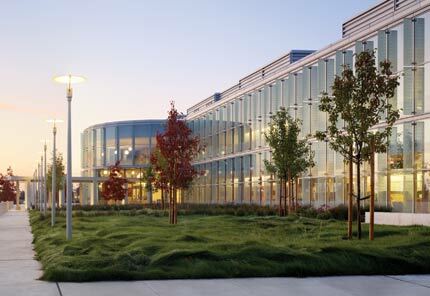 Two urban design projects were distinguished with the top Honor Award including the Santa Fe Railyard Park and Plaza by Frederic Schwartz Architects with Ken Smith Landscape Architect and the Master Plan for the Central Delaware by Cooper, Robertson & Partners and Kieran Timberlake with OLIN. Winning work in all four categories will be on display ay the Center for Architecture at 536 LaGuardia Place beginning April 19 through May 31. Water Proving Grounds: Rising Currents, LTL Architects New York, NY Holding Pattern, Interboro Partners Queens, NY Click on a thumbnail to launch the slideshow. All photos courtesy respective firms unless noted otherwise. Plan for new Spring Street Park. While Pershing Square, a hardscaped wasteland populated by painfully dated public art, seems to be a lost cause, a small but promising public park is well underway in the middle of Downtown Los Angeles, setting up what many see as a tipping point for a growing residential community. Construction of the 0.7-acre lot that will become the Spring Street Park has been underway since October in Downtown’s Historic Core, a neighborhood full of Beaux Arts and art deco buildings that has become the city’s unofficial residential center. “This park will announce the maturity of the re-population of this area,” said Deborah Weintraub, chief engineer of LA’s Bureau of Engineering (BoE), which is leading the project. Downtown added 15,000 residents between 2000 and 2010, according to the 2010 U.S. Census, all while bereft of a functional public park. In 2009, the city made a surprise decision to purchase the site using $5.1 million in Quimby funds (money set aside by local residents and developers for public improvements) from Council District 9. 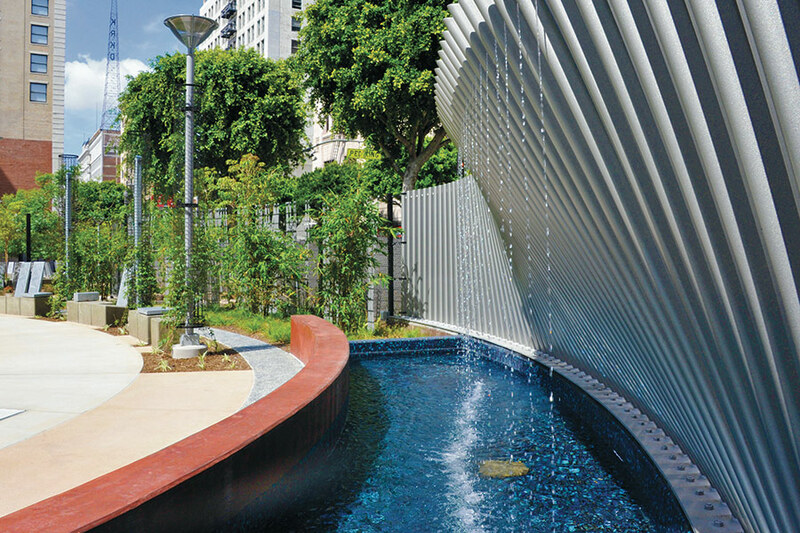 Enter Spring Street Park, designed by BoE and LA-based design firm Lehrer Architects LA. 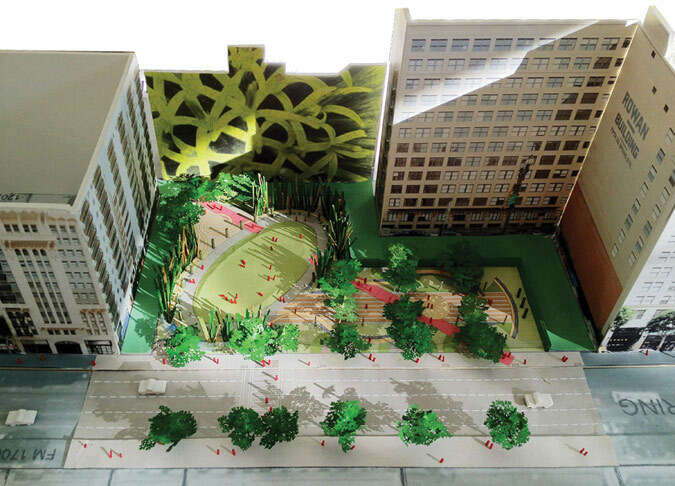 At the northern end of the site, a grassy ellipse is oriented askew to Spring Street, while to the south a plaza with permeable pavement anchors the L-shaped parcel. Benches and walls are strategically placed among the park’s overlapping, curved surfaces, creating zones that will allow visitors to “be a part of a large public space while still having a private and intimate experience,” according to Michael Lehrer, founder and principal of Lehrer Architects LA. Encouraging users to move between private and public realms, stands of bamboo and subtle fences blur the boundaries between the park, surrounding residential buildings, and the street. Meanwhile a long, diagonal walkway bisects the park, connecting Spring Street on one side and an alley leading to Main Street on the other. The park will be managed by a partnership between the city’s Department of Recreation and Parks and a group of local residents called the Friends of the Old Bank District Gardens. 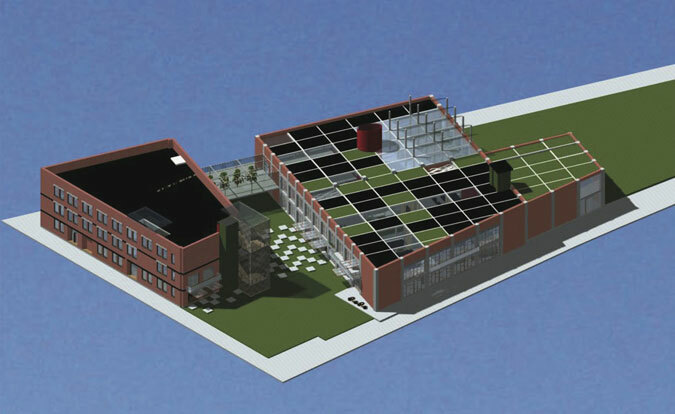 The project is expected to open in fall of 2013. 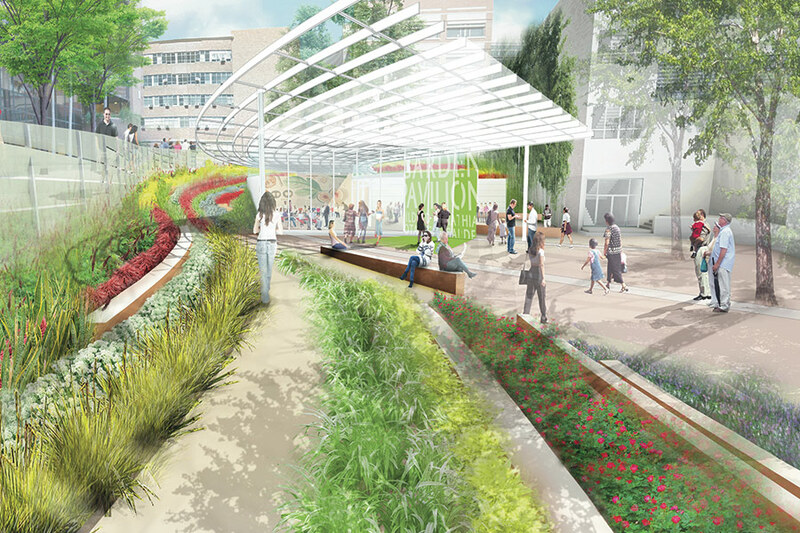 A masterplan envisions a vibrant Piggyback Yards and a revitalized LA River. Over 25 years of work have culminated in a transformative blueprint for 150 acres of land in the heart of LA abutting the famously barren Los Angeles River. However, funding and approval for the Piggyback Yard (PBy) conceptual masterplan, as the project is called, are still nonexistent, while the land’s owner, the Union Pacific Railroad, is still hesitant to part with it. 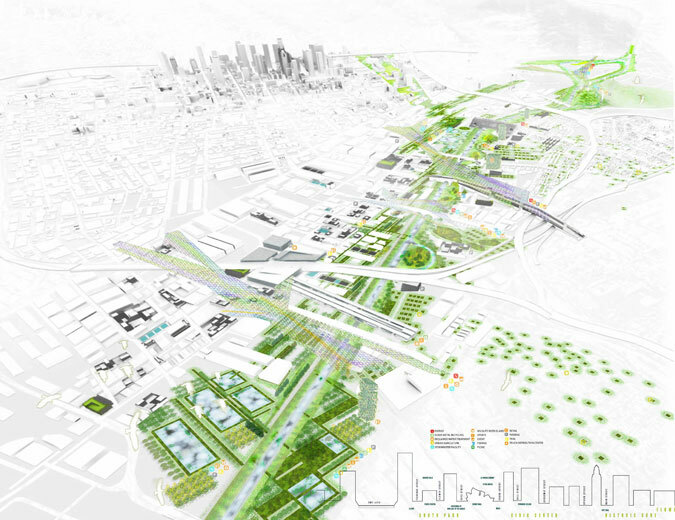 In 2009, the nonprofit Friends of the Los Angeles River found four architecture and landscape firms—Michael Maltzan Architecture, Mia Lehrer + Associates, Perkins + Will, and Chee Salette Architecture Office—to work pro bono on the Piggyback plan, targeting the railroad yards located at the critical junction of downtown Los Angeles, Lincoln Heights, and Boyle Heights. The firms, known as the PBy Collaboration, met biweekly until late May 2010. Now the group is initiating a dialogue with city leaders, public and private agencies, and the community. 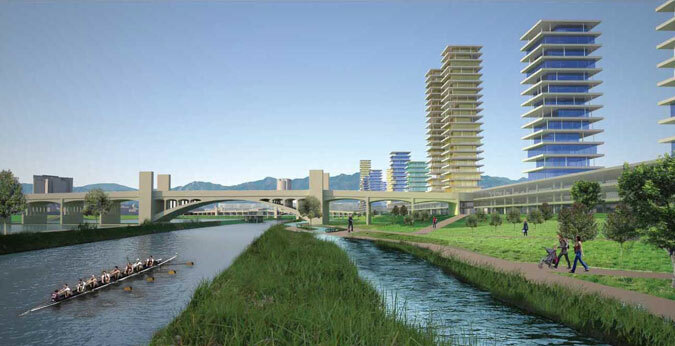 A conceptual rendering of the PBy site showing parkland surrounding the LA River. Although the city’s Los Angeles River Revitalization masterplan, which was started in 2005, has moved forward with bike lanes and small park projects along the river’s length, the PBy masterplan is the first sizable effort, said Mia Lehrer + Associates designer Hong Joo Kim. 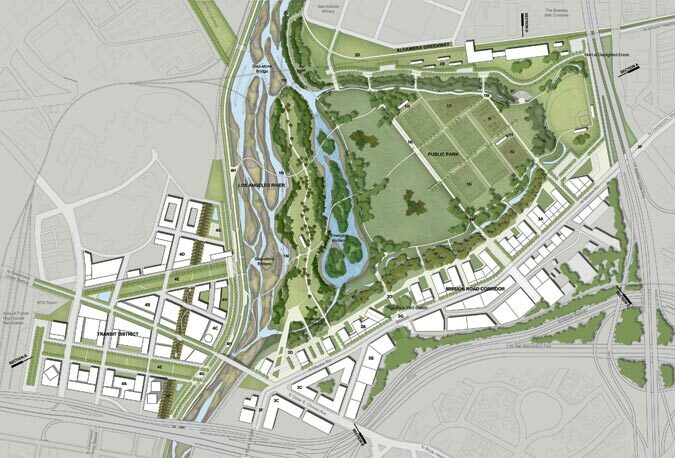 The plan includes 125 acres of land and 25 acres of riverbed. The Piggyback Yard, otherwise known as the Los Angeles Transfer Container Facility, is the largest single-owner property adjacent to the river, and hence, the yard’s proponents suggest, the only place a single, large-scale project could work. 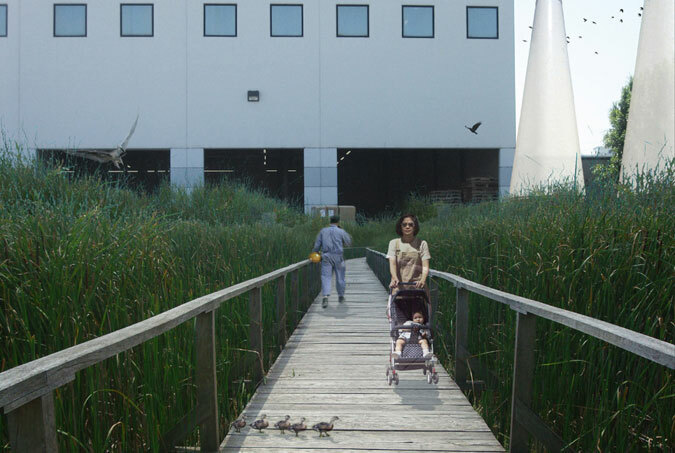 The PBy Collaboration proposes to replace the river’s concrete bottom with a soft riverbed, reintroduce plants and wildlife, and set the stage for educational, cultural, commercial, health care, and minor industrial buildings. The midsize structures would include green roofs and photovoltaic panel arrays. 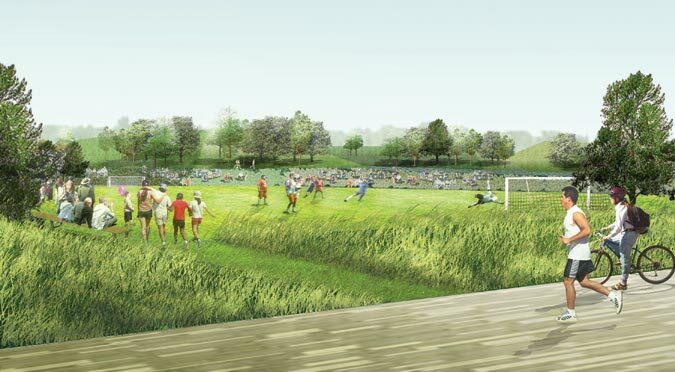 Building vertically means more space for the proposed 130-acre public park, which would include soccer fields, sports amenities, walking and biking paths, and a botanical garden. 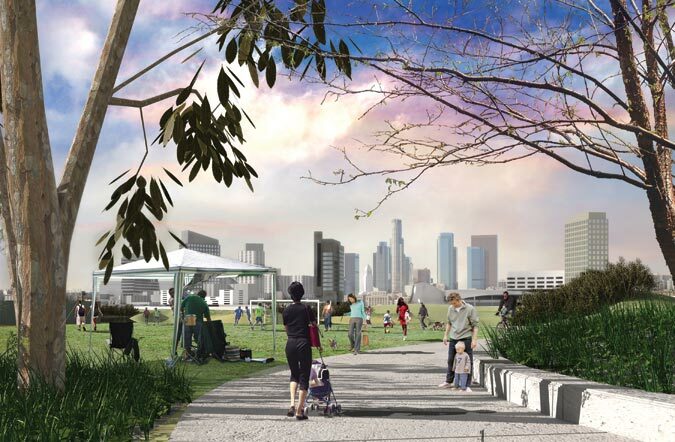 A conceptual rendering of proposed park space set against the LA skyline. The plan is to build an area where mixed-income residents would live, work, and play, increasing vitality and decreasing crime. The project would “bridge, through architecture and landscape design, the gap between isolated neighborhoods and districts,” said Jessica Varner, an architect from Michael Maltzan Architecture. Mia Lehrer emphasized that the PBy plan is “an ongoing investigation” of the yard, with several private and public agencies involved. Some of these include the county, city, and California High Speed Rail. But even with such backing, the collaboration’s hands are still tied, since Union Pacific (UP) owns almost all of the land in the masterplan. It uses the Piggyback Yard to transfer containers to and from trains and trucks. Union Pacific acknowledged the yard is operating below capacity, but Lupe Valdez, the company’s director of public policy and community affairs, partially blamed the economy, adding that UP was worried about giving up the valuable property. “It is the last yard UP has in the city of Los Angeles, and we realize we could never get it back once gone because of cost and current environmental requirements,” Valdez said. She added that the yard is being used night and day by 50 to 100 workers at a time, not including truck drivers. Several athletic fields are included in the PBy master plan. Others note that while retaining jobs in this recession is important, more jobs would be created than lost if this working blueprint—which would take about 20 years to complete—were implemented. 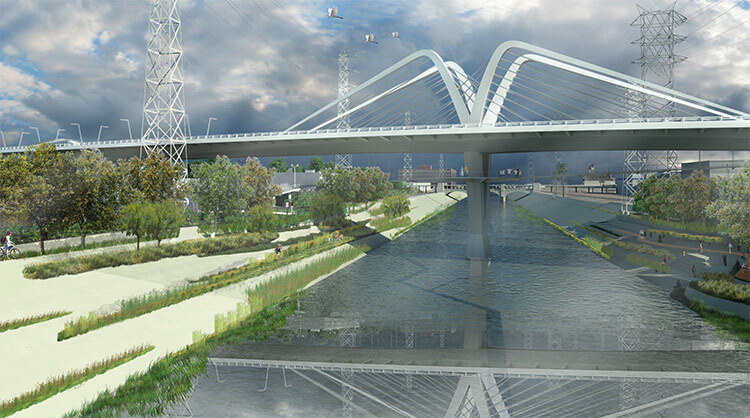 Architect Leigh Christy from Perkins + Will said work could be realized piecemeal through “capitalizing on efforts already in place.” The Army Corps of Engineers, for example, has funding to complete the Los Angeles River Ecosystem Restoration Feasibility Study by 2012. Part of the area being studied for restoration and flood control is a stretch of river adjacent to the PBy. Meanwhile, the city’s Clean Tech and BioMed Tech Corridors and California High Speed Rail all have funding to perform work on or around the PBy area. The PBy Collaboration needs to sway these organizations to work in tune with its masterplan, which cannot be realized without eventually purchasing the yard from Union Pacific. A small piece of the plan, the Mission Road corridor, is almost free of UP ownership. This portion of Mission Road, which lies between Cesar Chavez Avenue and Main Street, is about one mile of arterial roadway lined by commercial or industrial buildings. The PBy Collaboration has been talking to Mayor Antonio Villaraigosa and various city council and city planning members to start work on this area, said Christy. The project could become a “new model for the densification of the city,” said Marc Salette of Chee and Salette Architecture Office, and could jumpstart the rest of the PBy masterplan. First-prize winner Project Umbrella, by Constantin Boincean, Ralph Bertram, and Aleksandra Danielak of Oslo. Inventive new uses for mushroom shapes, a river that acts as a community center and energy hub rather than a storm drain, and districts that breathe and recycle like humans—these are samples from the winning competitors in AN and SCI-Arc’s Cleantech Corridor and Green District competition, which asked entrants to rethink and redesign the 2,000-acre development zone on the eastern edge of downtown Los Angeles that the city has set aside for clean tech manufacturing and related uses. Many, including LA Mayor Antonio Villaraigosa, have said that the district will be the hub of the city’s future economy. The winning entries created iconic new architectural designs for the area, established strategies to energize and enrich it through new planning and land-use schemes, and developed environmental and energy plans to make it green and self-sustaining. “We’re a young city with a realistic opportunity to define and implement the next conceptual city,” said SCI-Arc director Eric Owen Moss. Partners on the project included the City of Los Angeles, the Community Redevelopment Agency of Los Angeles, and the LA County Metropolitan Transportation Authority. 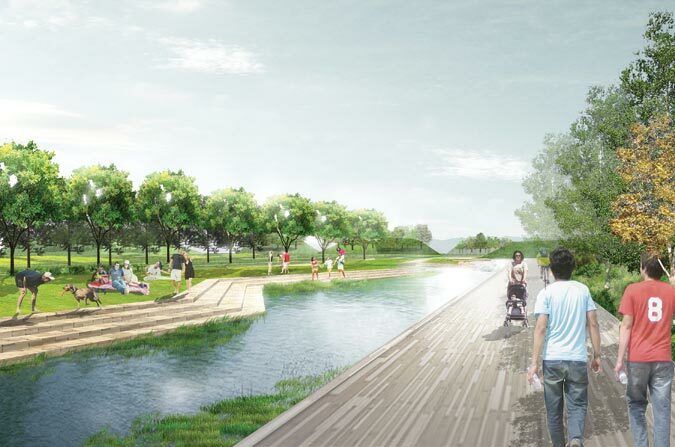 The jury included architects Michael Maltzan, Stan Allen, and Ming Fung; landscape architect Dennis McGlade of Olin Partnership; and officials from the partner agencies. The winning professional scheme, Project Umbrella, revolves around large mushroom-like structures called solar evaporators that would not only serve as memorable symbols for the area, but, via a system of black-water treatment and clean-water dispersal, would transform large parts of the city grid into greener and more attractive public spaces. The second prize went to Los Angeles-based office Labtop's scheme called Greenoplasty, which removes cars from the area through a local rail line and creates a system of lightweight housing on top of the area’s existing warehouses. Third prize went to a team including Buro Happold and Mia Lehrer & Associates that conceived integrated systems for energy creation (including solar arrays and hydroelectric power), waste management, transportation, and water runoff. The awards ceremony and a jury-led symposium will be held this Saturday, October 9, at 2 p.m. at the SCI-Arc campus. Read on for the full list of winners. 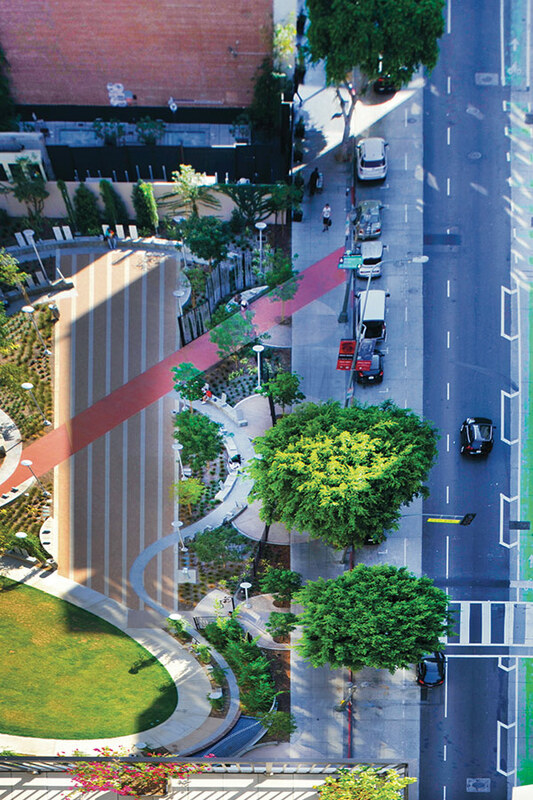 The winning entry, Project Umbrella, reinterprets LA’s existing infrastructure by implementing a point-based renewal strategy that will gradually transform the city grid into a greener and more attractive public space. Mushroom-like structures named solar evaporators tap into the city’s sewage, collecting and clarifying the black water originating from the surrounding blocks. The clear water is distributed and released into the streets through a process of evaporation and condensation triggering a transformation of the conventional streets into a network of lush, cultivated landscapes. Green webs spreading out from the evaporators generate incentives for new, sustainable developments within and around them. 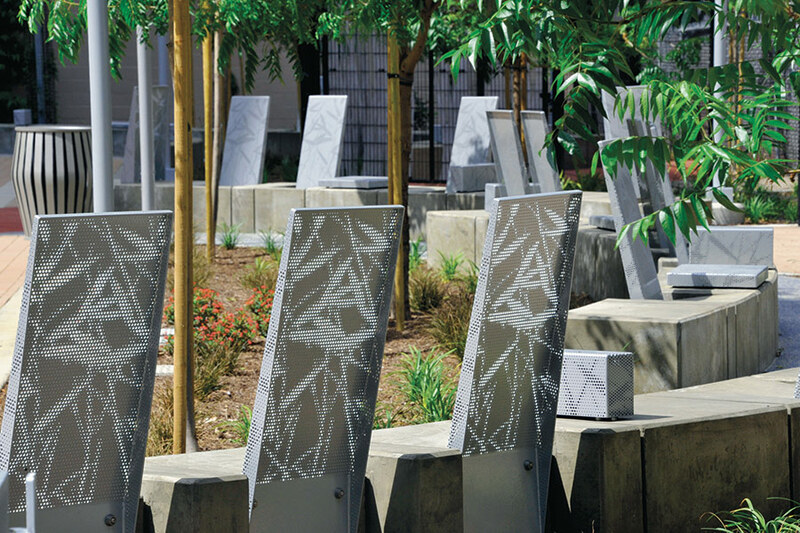 The central urban plazas become focal points within a gradual process of transformation that will affect the way people will see, use, and experience their city. The second-place entry, Greenoplasty, imagines an overall vision of the Cleantech Corridor based on creating a distinct urban space whose residents will not need to commute long distances to live in a district with more amenities. The designers believe that a local rail line servicing the Cleantech Corridor is a way to compress the nearly 4-mile site to more walkable distances. Furthermore, as a need for housing arises, lightweight, mixed-use buildings can be populated evenly throughout the site, positioned above warehouses. 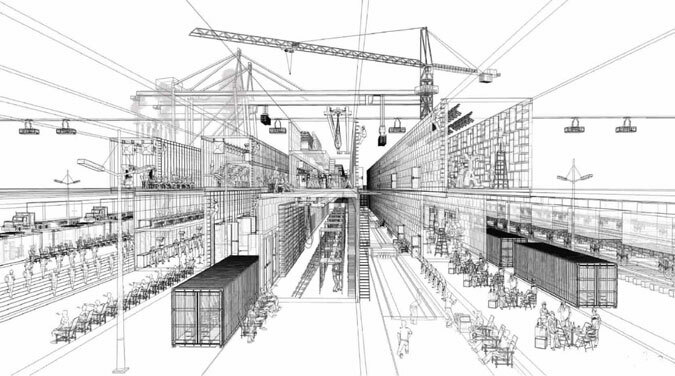 This allows all areas of the corridor an equal chance to develop, while sustaining the still functioning warehouses. In the long term, areas with more exposure and more potential residents will require more businesses, giving short-term architectural propositions the power to provoke zoning changes, and ultimately allowing a homogeneous industrial district to evolve into a more consolidated, dense, heterogeneous neighborhood. According to the third-place entry designers, the urban character of LA’s industrial corridor is a paradoxical blend of functionality and disregard. Currently, most of the city’s distribution, shipping, and freight storage occur within this zone. However, there is no structural logic or organization to this corridor. Freight modal hubs are littered along Alameda and Olympic. Additionally, a huge residential population to the east is cut off from accessing the city by this blanket of absolute, thoughtless industry. In part, because of the lack of organizational clarity to these transit systems, 20 to 30 percent of the industrial buildings that populate the site are outmoded and shuttered, with no inherent flexibility or market value. Conversely, this is part of what makes the Cleantech Corridor so provocative: its raw space and potential for industry and innovation. But to function within a modern metropolis, what the corridor needs is a systemic overhaul, a retrofitting that will allow it to transition into an intermodal landscape. This entry, Green District, proposes to be both the spatial and ideological center for regional Cleantech research and industry, but also to become the geographic and socio-economic connector between currently disparate parts of the city. To achieve this, three main areas have to be addressed—water, transportation, and education—for which Cleantech introduces fundamental shifts in paradigms. INFILL-TRATION proposes a solution for the Cleantech Corridor that begins with the reconsideration of underutilized resources within the area to improve not only the industrial corridor, but the natural water system and the entire urban experience. The project acts more as a method for regeneration and growth rather than a specific design, providing a dynamic framework in which the natural process of development can occur. This entry describes Los Angeles as a great city without great urbanism. This project thus proposes a series of large-scale developments along the Los Angeles River and a major reconfiguration of the river itself. In addition to building complexes at the northern half of the study area, the zone identified by the city as the Cleantech Corridor is composed largely of a recombinant urban device that simultaneously insinuates itself into the surrounding context while producing its own coherent yet varying urban space. Rather than romanticizing a sylvan future for the river, one that requires enormous flood-control mechanisms to maintain a fictive natural appearance, this proposal adds engineering to separate the need for ecological corridors in the city from the need for occasional flood control. At a point near the William Mead housing project, water is removed from the channel and pumped to an engineered wetland field located at the current piggy-back rail yards. From there, the water continues above and alongside the current channel in an ecological corridor. This corridor then follows a decommissioned rail right-of-way to Long Beach, where it is directed back to the current channel. The channel remains as a flood-control device, employed frequently in the winter months and available as an ad-hoc urban and recreational space year-round. MessyTech recognizes the full life cycles involved in so-called clean industries, which can be complex and not perfectly clean. In turn, messy processes can lead to cleaner results. Designing and manufacturing are inherently messy, where error can lead to progress and where flexibility reigns. Creativity and artistry are fostered in environments of cross-pollination and collaboration, where conflict and harmony co-generate good ideas. The weaving of diverse infrastructures, people, and activities makes for a rich and dynamic urban fabric. The final design system for this creative industry is a non-production system—the system of social activities for people within the creative sector. 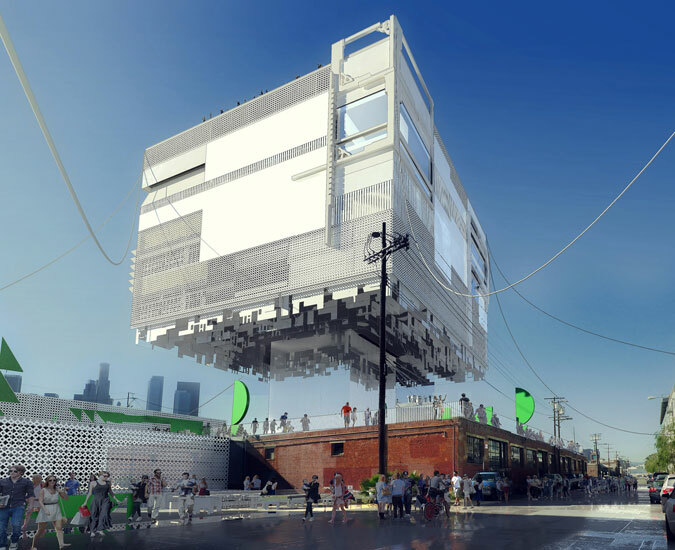 To illustrate this, a cable-car system enables the movement of people from the current Arts District and other industrial areas over the LA River and through the New Integrated Creative Industry. This system enables more social activities and relationships between the creative industry area and other industrial areas in downtown LA. Furthermore, the two distribution areas include residences and small exhibition spaces for workers, designers, artists, and visitors. Lastly, this non-production system offers communal space between production lines to facilitate a variety of social behaviour among and between workers, designers, artists, and visitors in the New Integrated Creative Industry in downtown LA. This project supplements the area’s existing industrial base with an intricate series of agritech businesses. Centered around a large campus with sustainable and innovative architecture, the new zone would include a dense network of food production, fish farming, and a system of mobile food trucks to aid in immediate dispersal. The idea behind the Red Door Farm is to establish a community around an urban farm that utilizes the most current technology in growing food. Its purpose is to teach people how to grow and produce good organic food in a sustainable manner, to celebrate food, and to demonstrate that good food can be accessible to everyone. The farm will actively engage in outreach efforts to the schools and community. The project also includes residences, places to dine and socialize, and businesses.